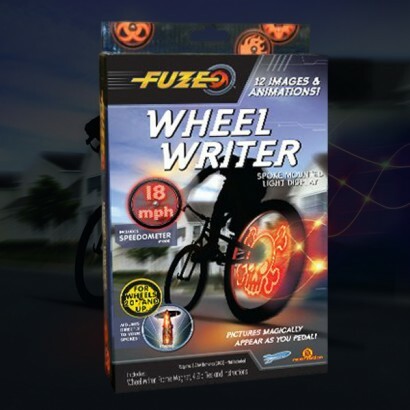 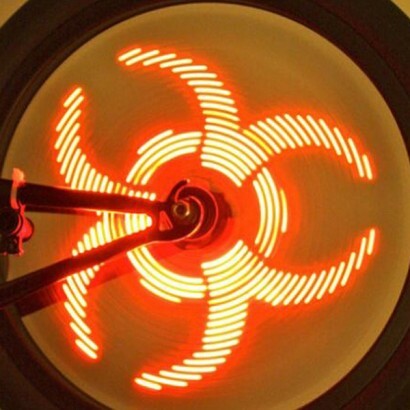 The Fuze Wheel Writer will go down a treat with cool kids. 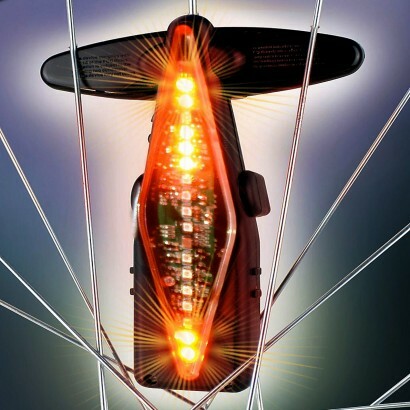 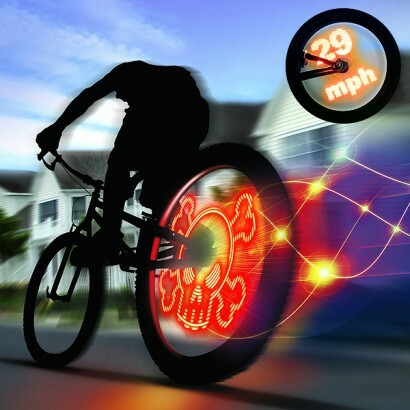 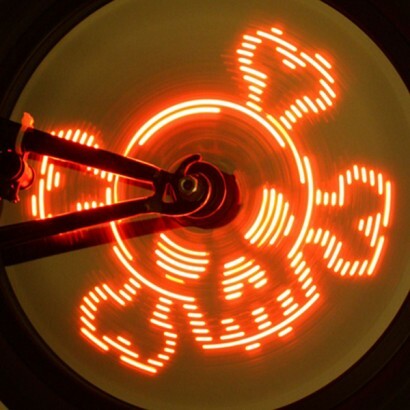 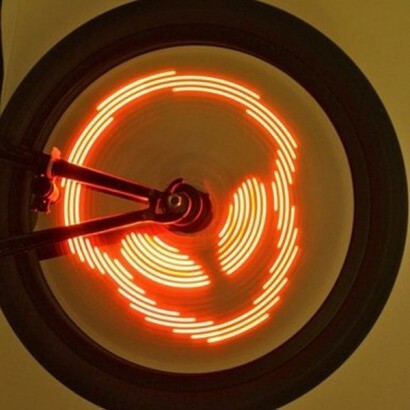 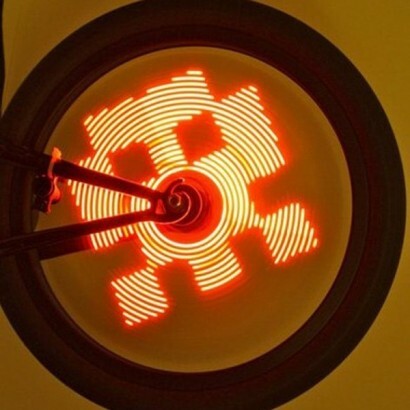 Ultra-bright LED’s create twelve amazing images and animations as they pedal, creating dazzling, eye-catching effects that are visible both day and night. 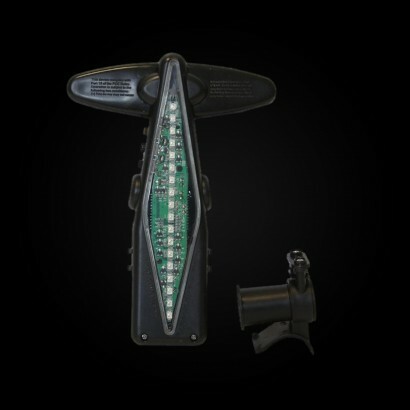 The awesome speedometer setting will soon see them challenging their friends to see who can go the fastest.